"The extraordinary charm and inventiveness of composer Juri Seo’s piano music come into view within the first 10 seconds of this ingratiating compilation disc, as a brisk handful of chords keeps getting knocked off-kilter by a single dissonant note. [...] Also on display is a deep dive into the history of the instrument in the form of her Piano Sonata No. 1, which is subtitled “La Hammerklavier” and offers a winning gloss — sometimes abstract, sometimes point-by-point — on Beethoven’s legacy." 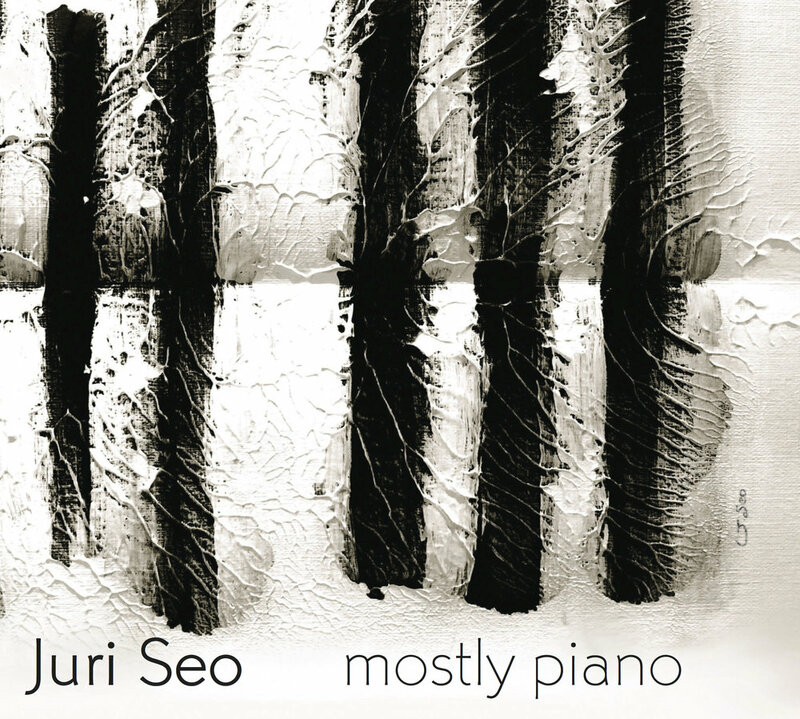 Joshua Kosman reviews Juri Seo's album Mostly Piano for the San Francisco Chronicle. "There is as with the other works a somewhat startling freshness about the music... For the spinning world we are in I must simply iterate that Juri Seo is a modern original, and that her music on the current volume veers into breathtaking territory at times, and for all that never seems content to work inside the usual trends that occupy much of the contemporary music world." Grego Applegate Edwards on Classica-Modern Music Review. "Through the piano, that most traditional of musical filters, Seo pours her eclectic influences and the results are coherent, but refracted and many-hued: Beethoven meets 20th-century avant-garde meets modern jazz. She scales the heights and plumbs the depths of the instrument..."
"Dashes of Gershwin are percussed by Beck on “La Hammerklavier” while Tolle crashes with the cimbalom on ”Etudes…”.’ The frisky “vi” has Rosenkranz and percussionist Mark Eichenberger going free and frantic. Is any of this on sheet music?"